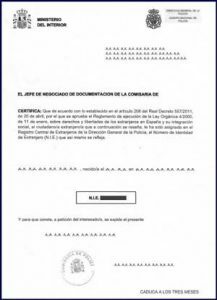 DO Spanish NIE Numbers Expire? NIE Numbers issued before 2016 may have been a temporary number. Most certificates after this date no longer have an expiry date. 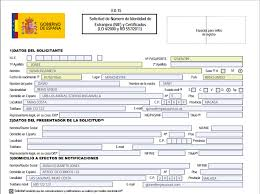 Do you already have your Spanish NIE Number? 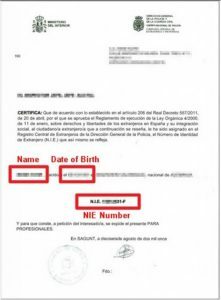 Some NIE Number certificates issued before 2016 had an expiry date, or were limited to a 3 month Period. NIE Numbers issued today have no expiry date and they stay with you for life. If you already have a Spanish NIE Number, and it has expired, visit our NIE NUMBER BOOKING FORM and fill out all the details and one of our representatives will book you a new appointment. 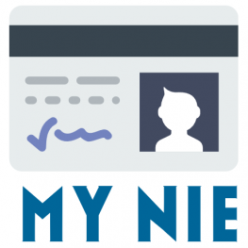 If you have lost your NIE Number certificate click here. 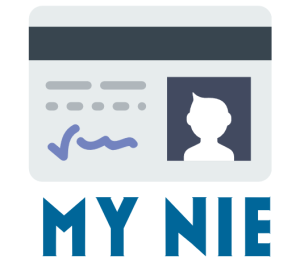 Will my NIE Number expire? How do I re-apply for an expired NIE Number? If your NIE Number has expired you will need to reapply for a new one. You can use our easy booking form. Reapplying for an expired NIE Number is easy with our service. Once we have all your details our staff will fill out your NIE Number forms and book you in at the police station. Unfortunately you will need to pay the NIE Number tax again at the bank, there’s no way around this. How do I know if my NIE Number has expired? Check your NIE Number certificate if it was issued before 2016 to see if it has an expiry date. If your NIE Number certificate was issued before 2016 it will have a stamp on it saying when it is due to expire. If there is no official stamp you can assume your number is your life long number and you do not need to re-apply for a new one. I’ve lost my NIE Number certificate so I don’t know if its expired or not. How can I solve this? If you have lost your NIE Number certificate you will need to reapply anyway. If your certificate has not expired it will be a simple job at the police station to get a replacement. However, if your certificate has expired you will need to re-submit your forms 790 and EX-15 and pay the appropriate tax at the bank. Renewing your NIE Number is easy with our service. Visit our NIE Number booking home page today to find out how we can help you get your NIE Number in less than 24hrs. Do Children need a NIE Number? Next Next post: Do Children need a NIE Number?